We set a high standard for ourselves. That means high quality ingredients, traditional techniques, and no cutting corners. we start with the best ingredients. We've carefully chosen our ingredients to make the best-tasting bagel we can. We use King Arthur's Sir Lancelot flour in our dough, and brewer's grade malted barley gives our bagels their distinctive taste. Our Everything spice mix is blended in-house, so we always strike the right balance of flavors. then we hand-roll, boil and bake our bagels. 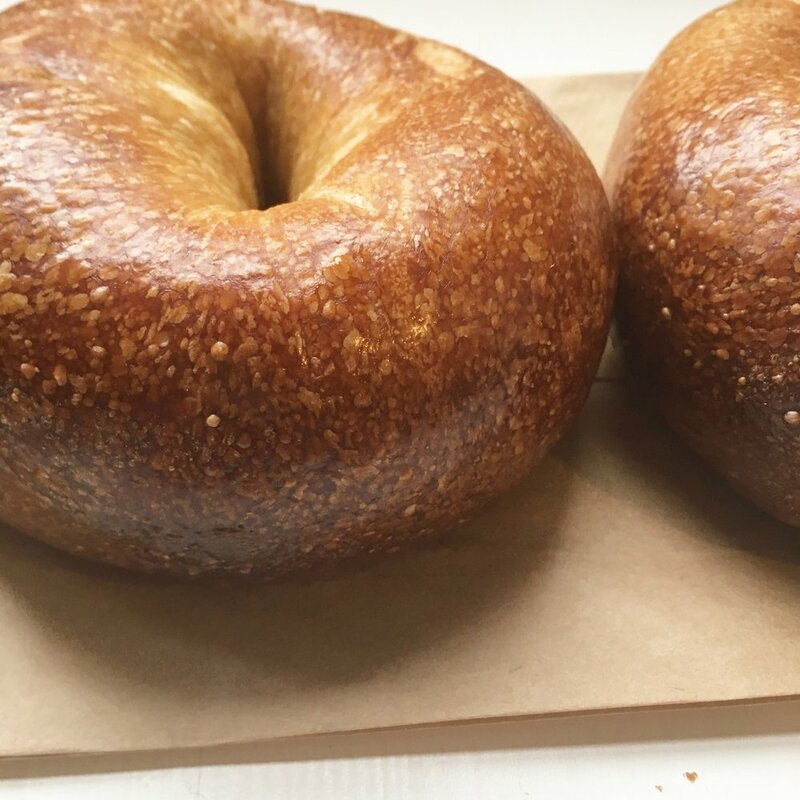 How bagels are shaped affects their final taste and texture. We divide our dough and roll every bagel by hand before sending them to the cooler for a slow fermentation. We then boil them in a malted barley bath -- the same stuff beer is made from! -- and bake them to crispy perfection. Over 24 hours of work give these bagels a uniquely blistered exterior with a slight crunch, a chewy and soft interior, and a delicious malty taste. We like to play with flavors in our dough and spreads and a inspired by our favorite foods, seasonal ingredients and local producers. We've made beer and cheese bagels with Revival Brewing and Narragansett Creamery, kimchi cream cheese with Chi Kitchen and sandwiches with The Backyard Food Company's tomato jam. Milena moved to Providence in 2013 and had a hard time finding bagels she loved. Making bagels started as a fun weekend activity and quickly evolved into an obsession. 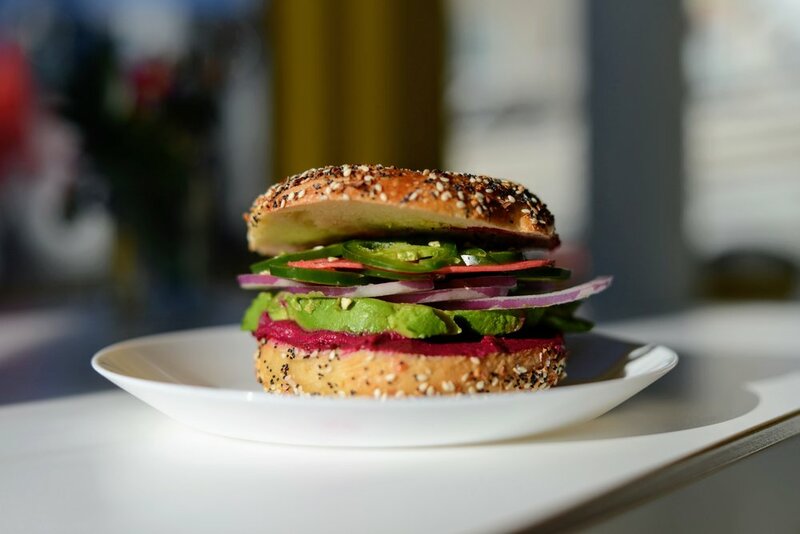 An MIT-trained chemical engineer, she turned her home kitchen into a lab and meticulously tinkered with every aspect of the bagel making process. 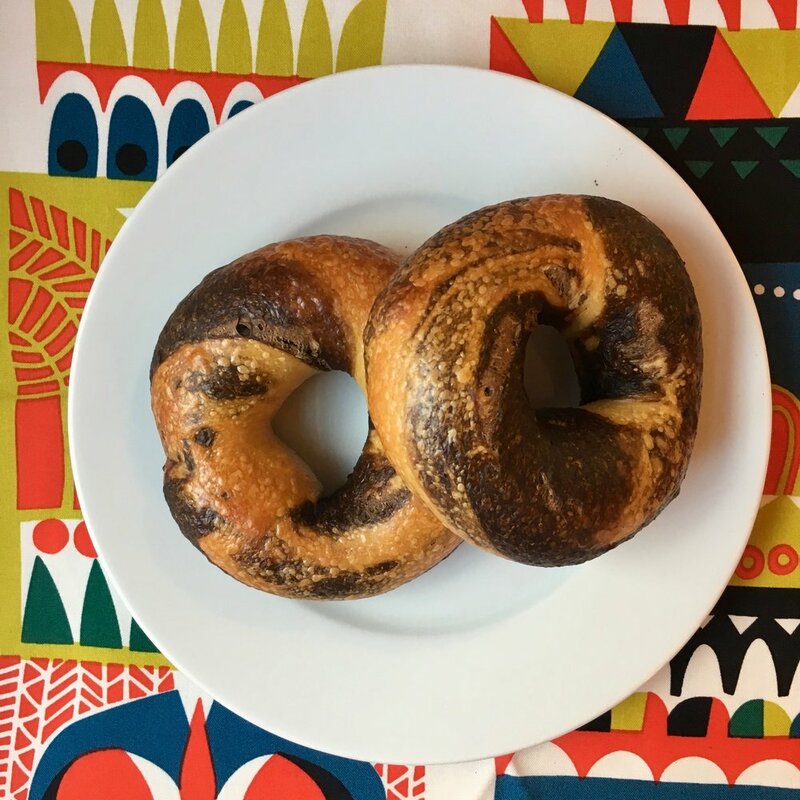 It took her 3 months of baking almost every day to achieve her goal: a bagel with just the right amount of crunch, a soft and chewy interior and a deliciously malty crust. It was then that she decided to quit her corporate job and pursue bagel making full time. Milena is passionate about meeting, advising and being mentored by other ladies in business, especially the food business. When she's not thinking about work, she likes reality TV, craft beer, gardening, and trying new foods. She's friendly; say hi! Sign up to receive special updates, news & offers before we share with the rest of the world. We promise not to spam you! The Rebelle Artisan Bagels (TM) name and logo are registered trademarks of Rebelle Artisan Bagels, LLC.